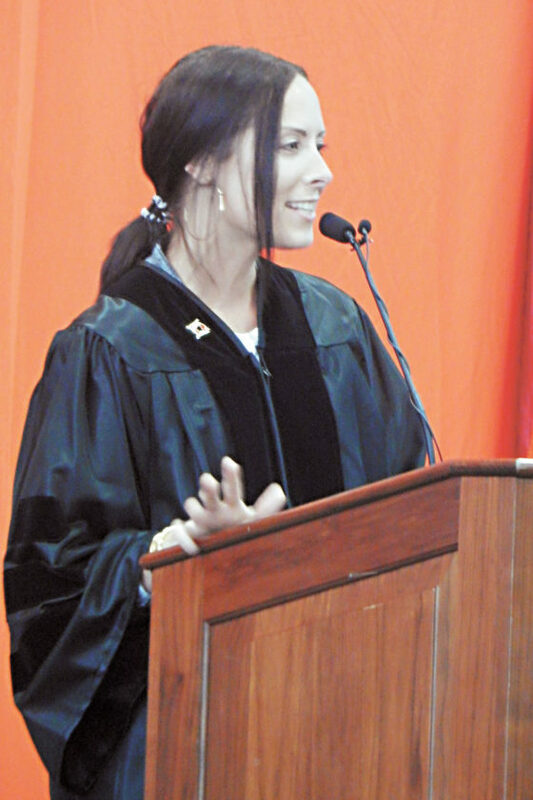 PHOTO BY NICOLE WALBY Rebecca Shope is seen here addressing freshmen at Heidelberg University’s Opening Convocation Thursday. 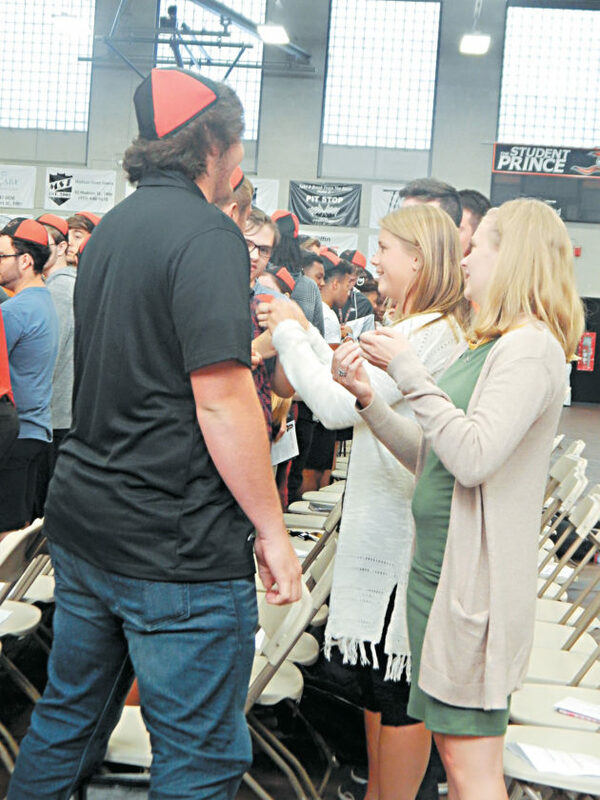 A Heidelberg University 2004 graduate spoke to the class of 2022 Thursday during Opening Convocation, stating that attending college is a privilege, not a right. Rebecca Shope earned a bachelor’s degree in political science and business administration from Heidelberg. She then enrolled at the University of Toledo College of Law and graduated with honors in 2008 with a juris doctor degree. Shope said while in high school she was classified as a “floater” and didn’t know where she would fit in. It was one of Shope’s friends who told her when she found a school that fit she would find the person she was designed to be. PHOTO BY NICOLE WALBY Freshmen Heidelberg Universe students are pictured being pinned by upperclassmen Thursday during a traditional ceremony as part of the university’s Opening Convocation. “Those words resonated with me,” she said. During her freshman year, Shope said she struggled with finding balance between academics and social activities. Shope said there were classmates of hers from high school that didn’t have the same opportunities to go to college as she did. “Keep in mind that when you look back, you don’t want your college years to have been wasted time,” she said. Shope said her time at Heidelberg were her best years and it was those years that led to her career in law. “We all come to college for different reasons,” she said. “Always remember to never lose your personal values, find your purpose, find your mentors and professors, get involved, ask for help and speak out, drink a lot of coffee, befriends those alike and different from you, treat everyone with respect and you will find you were designed to be. Heidelberg University President Rob Huntington welcomed the incoming and returning students. Among the 333 new students, Huntington said 5 percent were from Tiffin and Seneca County, and 57 percent were first-generation college students. “This day is to celebrate new beginnings and this is the start of Heidelberg’s 169th academic year,” said Heidelberg Vice President for Academic Affairs and Provost Beth Schwartz. Schwartz said she had three pieces of advice for the incoming freshmen: remember your time here is precious, be intentional with your time and find your mentors.